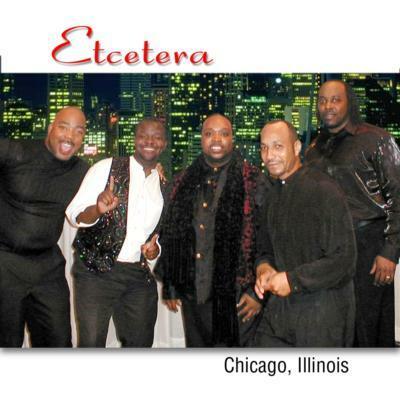 Etcetera is a Chicago base band formed by Kenneth Jones. In 2011 Etcetera won Outstanding Achievement Award In Music R&B. 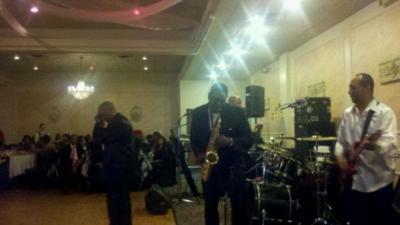 The band has performed throughout the Chicago and Midwest area and has played as far as the Bahamas . Etcetera has worked with a variety of agencies that has book the band for concerts, weddings, night clubs and corporate events. The band also performed with such great recording artists as Harold Melvin's Blue Notes, Intruders the Chi-Lites, Otis Clay, Chicago own Notations, the late Phyllis Hyman, Johnnie Taylor and Otis Day from the movie Animal House. Music Style: POP, R&B, Old School and Jazz. If you're looking for a band to get your party started , Etcetera is the band for you . We treat each and every engagement like it's our last . Please note ETCETERA BAND will also travel to Cicero, Berwyn, Oak Park, Forest Park, Hines, Lyons, Riverside, Brookfield, Maywood, River Forest, Summit Argo, Carol Stream, La Grange Park, Bellwood, Bedford Park, Melrose Park, Westchester, Burbank, Bridgeview, Hillside, Hinsdale, Hometown, La Grange, River Grove, Stone Park, Western Springs, Berkeley, Franklin Park, Justice, Norridge.